“White Rose is a resonant testament to courage. In a time of horrific brutality, young people found a nonviolent way to resist. Told in the form of poetry, the story of their hopes is honored and brought back to life, still relevant today, when regimes that spread hatred are once again thriving, and words are our most powerful defensive weapon.” – Margarita Engle, author of Newbery Honoree The Surrender Tree and 2017-2019 Young People's Poet Laureate. 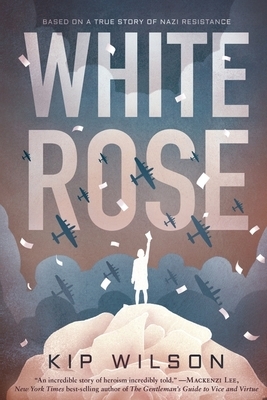 "White Rose is a deftly plotted, absorbing read. A bold tribute to a brave hero of the German resistance during World War II. Wilson’s debut is a triumph!"